This ebook will take you step by step how to get the most out of your character by implementing rigging techniques which will give you more animation functionality. You will learn proper ways to add vertices to your meshes and allow you to give your 2D characters a 3D feel. Easy to follow instructions for novice and beginners. A full character rig will be included with this book. More info soon. Is there a price point yet? I'm very interested in it! @BinaryCats - No price point yet. We are currently in the middle of it trying to crank it out much sooner than later. Will have more details on price once the book is close to being finish. @Shiu - Yeah, most definitely. Will send out pm. @createzone - Thanks for your interest. Will have more details possibly sometime next week. Just a quick update. We are also planning on releasing a video version of the ebook for those who prefer to follow in video format. More info soon. Here's a quick demo showing one of two characters that will most likely be included in one of the ebook packages. The rig is currently a work in progress and the character's body art is not final. Check it out. Additionally, if anyone is interested in receiving updates/news of the ebook and date of release you can sign up at http://bit.ly/1H6FmSt We'll send an update once a week until ebook is released. Just a quick update for those who haven't signed up to our mailing list. The ebook will launch May 6, 2015 @ 9am pst. To celebrate the pre-launch we'll be releasing the Take10 Gorilla this Friday May 1, @ 9am. Ready for the surprise? You'll get to choose what you want to pay for it. The gorilla rig will be up for a limited time only. 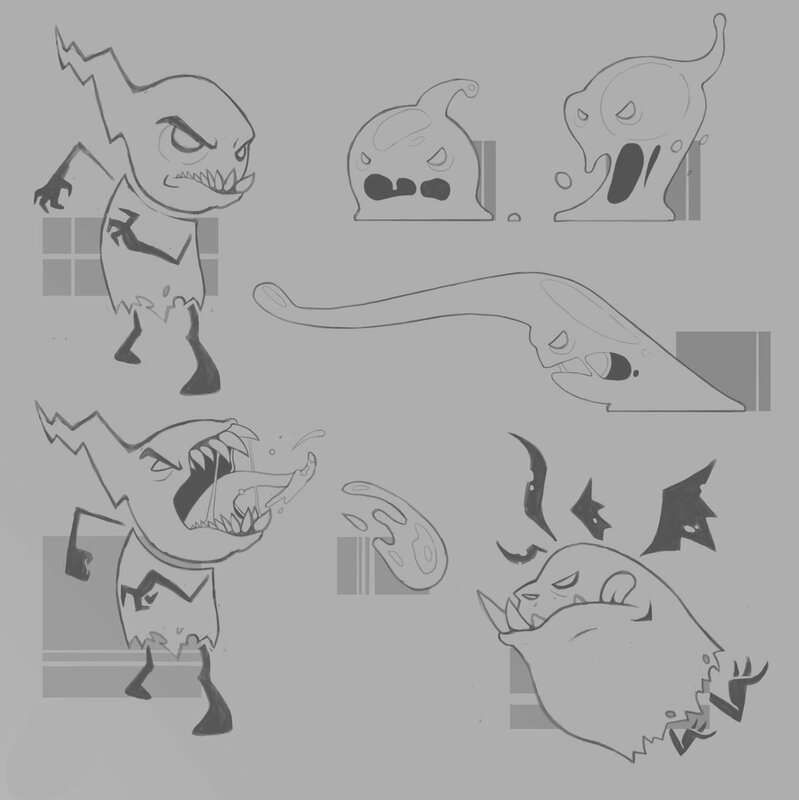 Here's a quick view of one of the characters that will be part of the asset packs. All assets can be used on your own games. As promised the Take10 Gorilla is now available for a limited time at a name your price offer. Download today and give it a try in Spine. I got my email and was happy to support you. But it does not accept PayPal, sorry I do not use CC anymore as I had my identity stolen and went through hell and a lot of money to fix it. If you end up accepting PayPal let me know and I will toss you some money.. If not I wish you the best! For the ebook we will be accepting paypal. More details on Wednesday May 6 when the book launches. If you are interested in the gorilla rig I've sent you a pm with further details. Just wanted to share our studio reel. It's a bit outdated but we should have a new reel later this year with plenty of work done in Spine. We've worked with WayForward, Rockstar Games, and Mondo Media to name a few. Check it out. 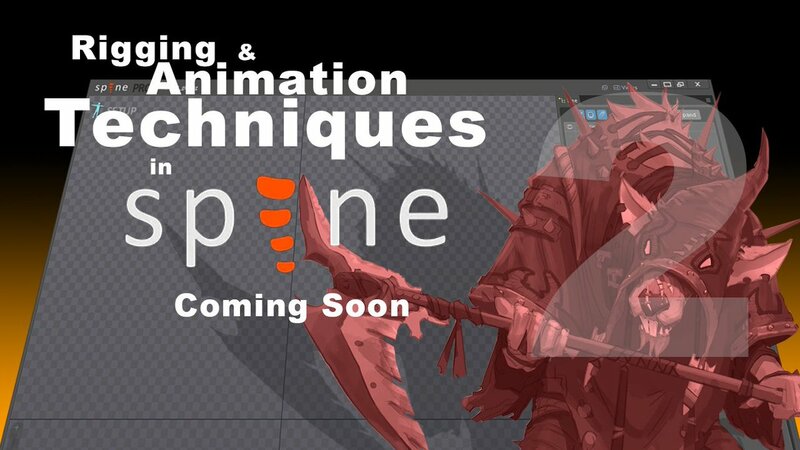 Our new eBook, Rigging & Animation Techniques in Spine will launch tomorrow May 6 @ 9am pst. We'll post another link as soon as it goes live with a discount code for everyone. Rigging & Animation Techniques in Spine is LIVE! Get your copy at an early bird discount. For the next 48 hours you can get 20% off on any of the 3 packages. Enter promo code take20. Offer ends in 48 hours. A reminder, Spine Open Assets will launch next week. What is Spine Open Assets? It's a monthly membership where you'll have access to characters, weapons, props, game platforms, and just about anything else that you can use to populate a game. As long as you stay subscribed each month the art will be free to use in your own games. We'll add new art every month. Membership will be $10 a month. What we want to know from you is what type of art would you like to see? What character types? Styles? Please let us know and we'll be happy to add it in every month. Below is the line up of the first characters that will be part of the Spine Open Assets. Seems like you missed the launch sale we had @ 20% off. Ended today. If you are interested in package #3 pm me and we can talk further. We've extended the 20% discount through Mother's Day weekend. Simply enter take20 at checkout. Spine Open Assets is OPEN! Subscribe to get full art every month for your games. New in-house game project. All animations will be done in Spine. Can anyone guess what type of game it will be? Darkwing Duck Remastered - Our first idle test animation. Testing out the rig in Spine. if u add Box2D implementation for cocos2d-x, I'd buy your e-book. Next month's Spine Open Assets will be available around mid June. It will be a gory samurai pack that will include two samurai's, blood and sword fx animation. Become a member for $10 a month. More assets every month. I saw you sold the courses on sellfy. Will you sell them on udemy too? closcan 写道: I saw you sold the courses on sellfy. Yes. Currently setting it up to be available on udemy. If you sign up to our mailing list we'll notify you when it's up. Thanks guys you're the best! I'll be sure to get it as soon as it's available! 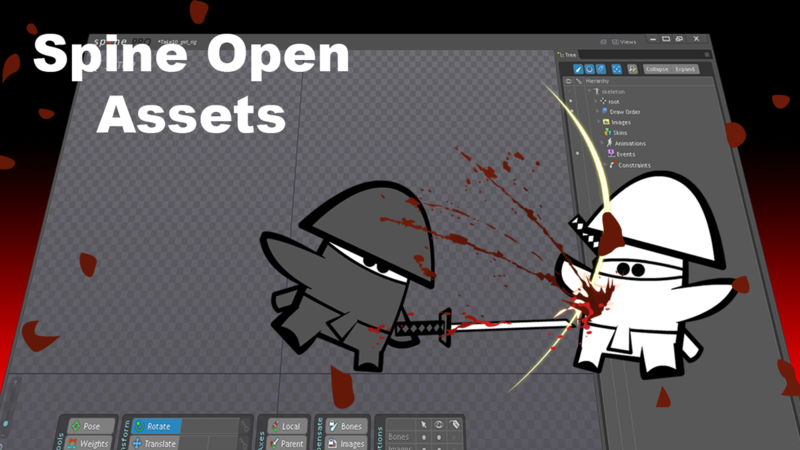 The gory samurai pack is now available for download in the Spine Open Assets. It includes two samurai's, katana slash fx, and several blood splatter fx animations. Subscribe and get all new assets every month. I want to buy the package #3, but I'm not sure if the gorilla is included in that (or at least the techniques shown in this gorilla video are included in the take10girl spine file. I also see that the gorilla package is removed. Could you confirm either ways? Thanks! A brand new video lesson How to Animate a Walk in Spine is now LIVE! In this lesson you'll learn a few animation techniques and workflow to make your walks more believable. You'll also learn how to add weight and the dimensional pass to the character. A fully rigged character is included. New outfit added to package #3. More coming soon. All updates on any package are free to current users. This new outfit is from the Miraculous Ladybug. Join for $10 a month. New assets added every month. New character coming this month to the Spine Open Assets. Subscribe for $10 a month and get access to new game art every month. 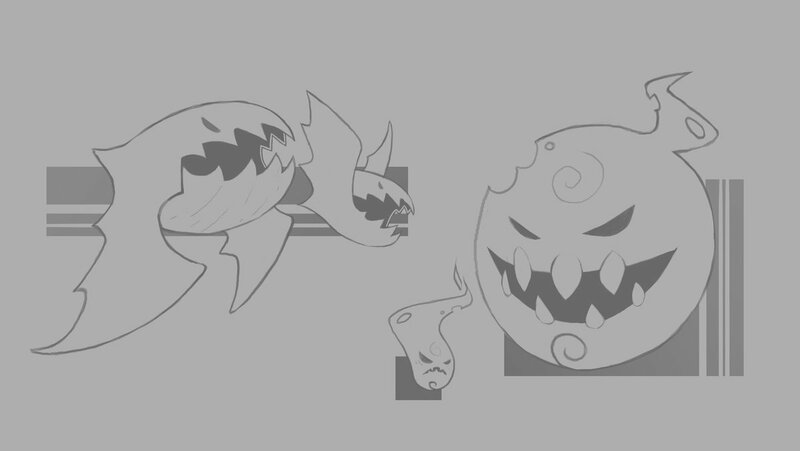 Here's a few enemy concept sketches. Two of these characters will be part of the Ellie pack. They will be available in the Spine Open Assets on 12/15/2015. Upon release of Ellie we'll also be working on new outfits, hair do's, weapons to customize and make her your own. Great for using in Spine and Flash. Just a bit of a sneak peek of what is coming out soon. "Rigging & Animation Techniques in Spine" Vol 2. Character art by Alexander Trufanov. Rigging & Animation Techniques in Spine Vol 2 Trailer. The new Spine tutorial is now live. Click on the link for more info. Just a quick heads up the new Spine course is now available on Udemy. Click on the link below for a huge discount.